Following the success of its first viral video Tipidity, leading sardines brand takes viewers on an emotional roller coaster ride this Christmas season through Adulting, its second short film in its #MegaGandaAngBuhay trilogy. ‘Adulting’ tells the story of a young female professional who yearns for more independence even as her mother practices tough love when dealing with her. 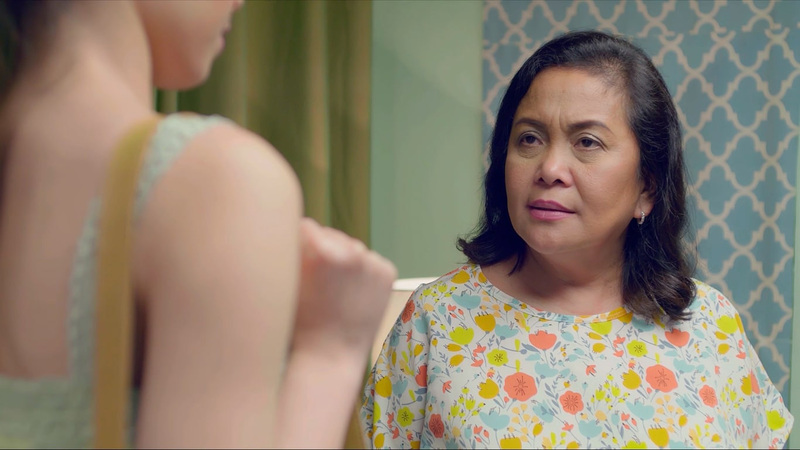 While Tipidity, which has so far garnered about four million views, depicts the quirks and realities in a newly married couple’s life, Adulting tugs at one’s heartstrings as it navigates the tricky waters in a mother-daughter relationship. Adulting tells the story of Angeli, a spunky young female professional (played by Crystal Paras) who yearns for more independence even as her mother Aling Lorna (played by Ruby Ruiz) practices tough love when dealing with her. Adulting can be viewed on MEGA Sardines’ official Facebook page www.facebook.com/officialmegasardines and YouTube channel (Mega Global). Director and public relations specialist Chris Cahilig says Adulting best embodies the brand’s new #MegaGandaAngBuhay campaign, which aims to present timeless Filipino values and snippets of everyday life through compelling and very relatable narratives. ‘‘MEGA Sardines’ #MegaGandaAngBuhay campaign brings a message of hope and optimism to personal relationships at a time when too many distractions stand in the way of harmony. No matter at what point in your life journey you’re in, the campaign affirms that MEGA Sardines has always been-and will always be-there for you and constantly share in your most heartwarming experiences in life,” Cahilig says. “Have your hankies on hand because Adulting will surely resonate with your hearts and dredge up a few memories of your own,” he adds. Aside from Adulting and Tipidity, MEGA Sardines is set to present one more short film under its #MegaGandaAngBuhay campaign- First Day, to be launched in the first quarter of 2019. All three short films can be viewed on MEGA Sardines’ official Facebook page. Adulting was made possible by Tiu Lim Foundation (executive producer), Rommel Sales (cinematography), Yuji Gonzales (screenplay), Alec Figuracion (offline editor), Kenneth Amparo (online editor), Melai Entuna (line producer), Clark Lopez (assistant director), Kat Salinas (sound design), Richard Gonzales (scoring), Yani Bautista (production manager), and Johanna Evangelista (production coordinator). Adulting was shot at Bria Homes in Pampanga. It also stars Wayne Avellano, Jason Estroso, and Bernadette Moldera. Manufactured by Mega Global Corporation, MEGA Sardines offers the freshest and most delicious sardines packed within 12 hours from catching to canning. It is available in easy-to-open cans and pouch formats for convenience. For more information about MEGA Sardines and its #MegaGandaAngBuhay campaign, visit www.megaglobal.com.ph or www.facebook.com/officialmegasardines.